The Spring Season has returned, and has brought with it the vibrant spring flowers, green lawns, song birds of Illinois, and the Monticello Main Street Farmer's Market! 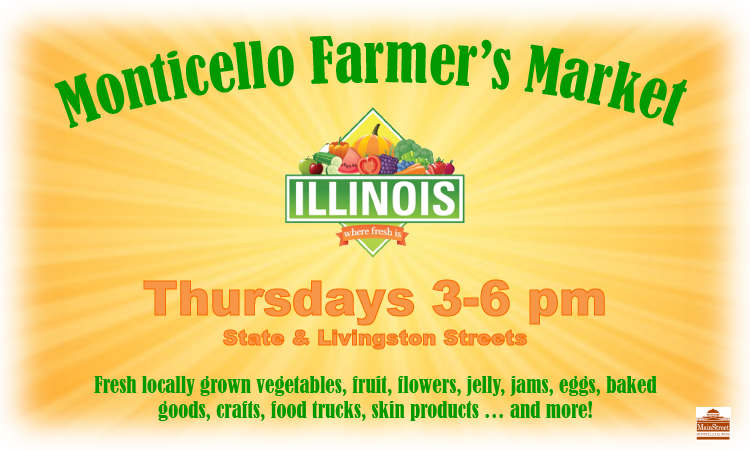 Walk by and visit every Thursday afternoon from 3:00pm to 6:00pm, starting June 16th and lasting thru October 6th, located at the corner of State Street and Livingston Street in front of the Allerton Library. 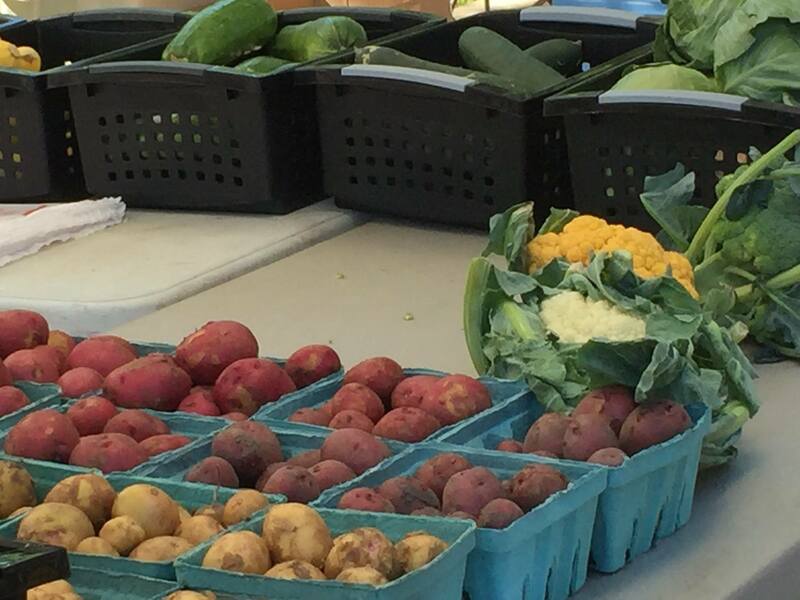 Local vendors will set up shop and be selling fresh produce, meats, breads, honeys and preserves, crafts and more!